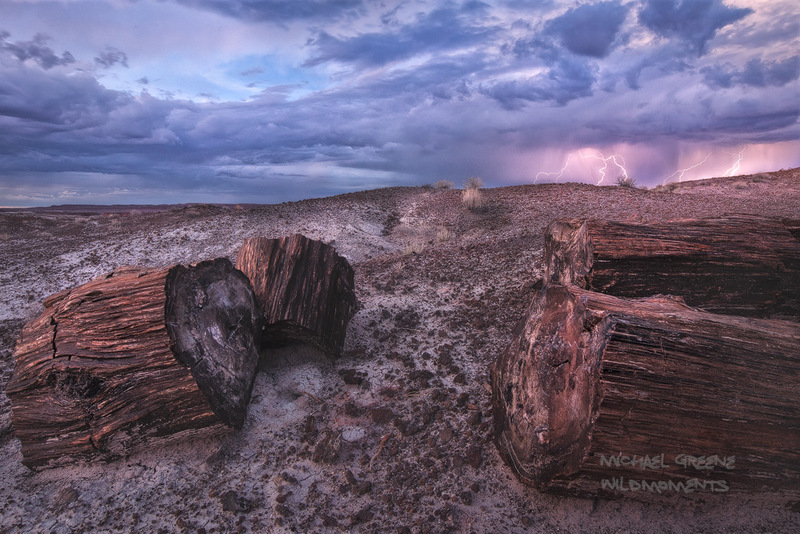 A pleasant overnight backpacking trip into the painted desert area of the Petrified Forest turned perilous as a late-season, unexpected lightning storm moved into the area. The Petrified Forest National Park is located about 30 miles from Holbrook, AZ near the New Mexico border. Photo © copyright by Michael Greene.